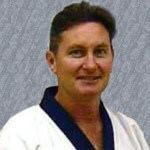 Biography: Started training in the Moo Duk Kwan in 1973 in Darwin under Master Bob Caputo, Dan Bon 17219, in Darwin at the Old town hall. 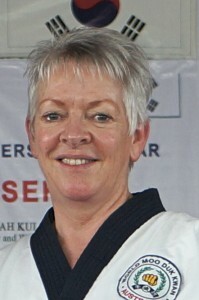 I sat my Cho Dan exam in 1978 and Sa - Yuk Dan in with KJN HC Hwang Dan Bon 509. I have had the good fortune to represent Australia and support the WMDK Symposia in Korea, USA, Argentina, Mexico, Australia, Malaysia and am currently the Chairman of the Australian Technical Advisory Committee. We have 11 active Do Jangs across Australia. Biography: Commenced training January 1988 in Darwin, Northern Territory, Australia. Achieved Cho Dan 1994. Attended South East Asia Leadership Seminars from 1997 to current. Participated in WMDK® 55th and 60th Anniversaries Korea. Tested for Sa Dan/Sa Bom KDJSS 2004 Mobile, Alabama US. Appointed dual Designee Australia 2006, appointed ASBDMDK TAC member. Tested O Dan 2009 KDJSS Korea. 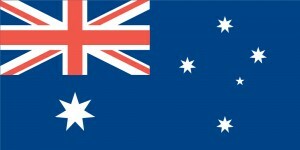 Relocated to Melbourne, Australia December 2006 and remain actively involved with ASBDMDK and WMDK®. There are currently 13 active dojangs in Australia. My original MDK® Instructor is Master Chris Austin Dan Bon 22519, Darwin Australia.